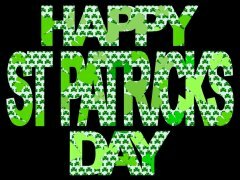 Celebrate St. Patrick's Day in Santa Clarita! Where's the fun for St. Paddy's Day? We've highlighted a few things to do, but there's no doubt oodles more going on--in and outside the Santa Clarita Valley. Please remember to be safe and choose a designated driver. Hey teens - it's almost Saint Patrick's Day and you're determined to have genuine leprechaun treasure at your Saint Paddy's Day party. You've discovered his treasure hold and tonight you're going to steal it ALL! Come into the library to find the leprechaun's hidden treasure! You've been planning night and day, and finally you've created the perfect trap, but leprechauns are quick and sneakier than you may think. Will you ever catch one? Gather together in fun, fellowship and laughter as you dance the ceili! CnaG Gaelic League of LA's dance division Ceili Rua (Wild Gathering) will lead you through the jig step movements of these traditional Irish social dances. After the JAM, practice your new dance steps and stay for a free concert by The Ploughboys! The Santa Clarita Children's Choir Presents, "An Irish Blessing"